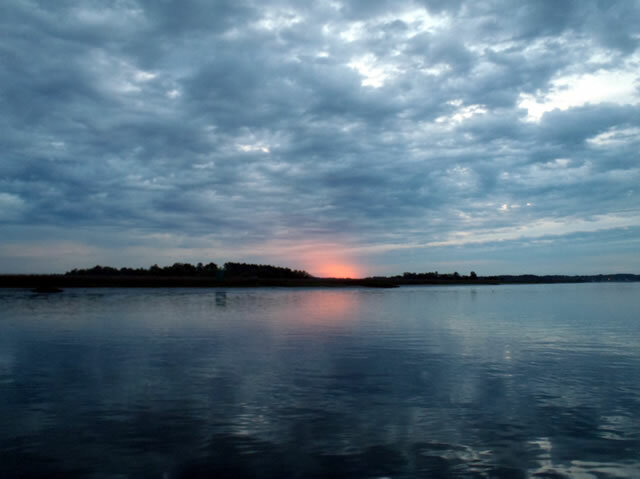 Copyright © 2015 Thunderboltcharters All Rights Reserved. Capt. Rick had a 4 person 6 hour charter today that departed at 12:15 pm. The previous night we had a heck of a storm move through and the barometer fell overnight and all day. The water was muddy. Water temp was 72. We started out looking for trout, but didn't get a trout bite at all. 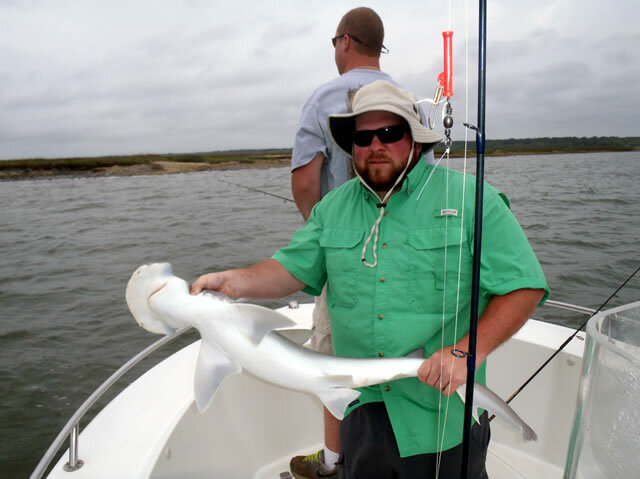 Once the tide started coming in we caught and released a couple of bonnethead sharks. 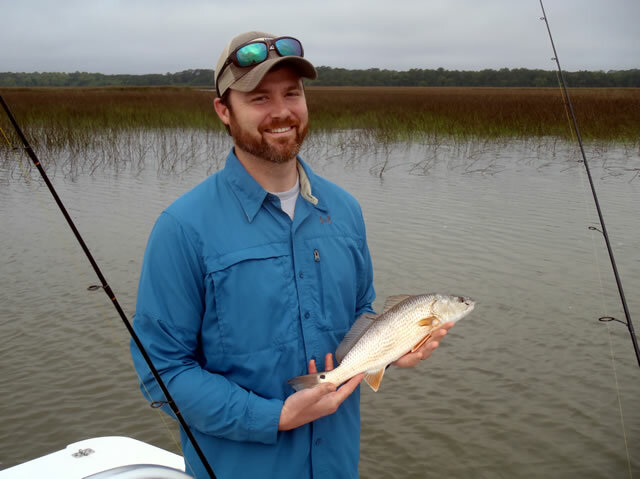 Continued to search for trout and redfish and landed a couple of slot redfish. 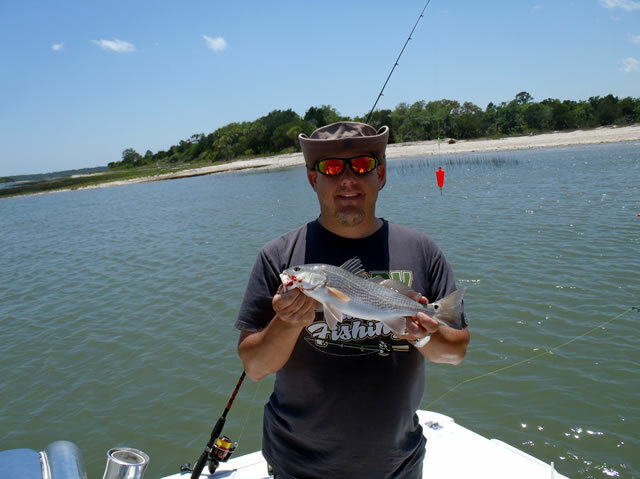 We also caught a few bluefish. 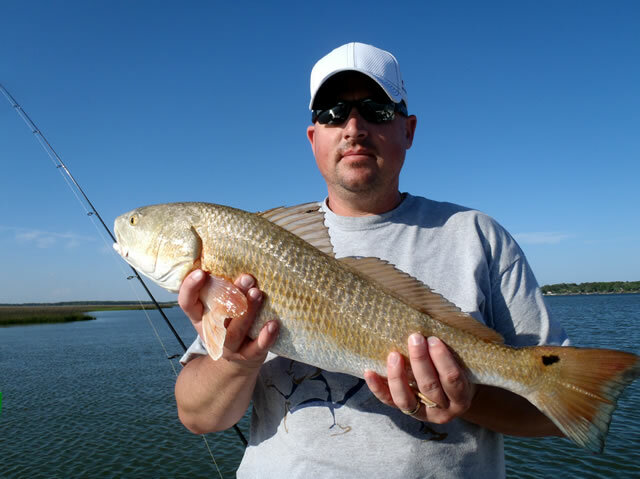 Decided to go out and try for some Bull Redfish. 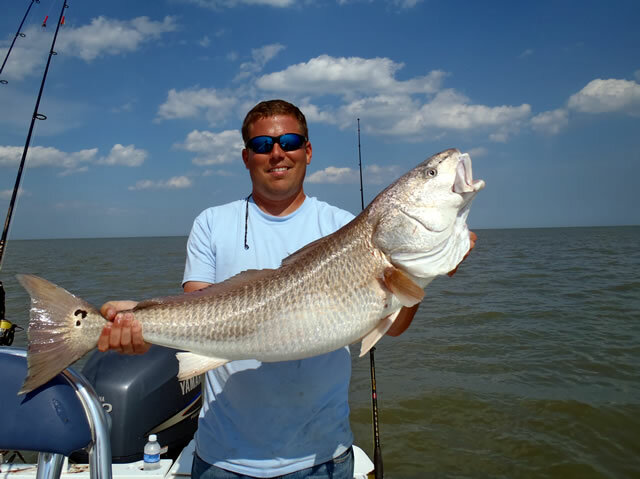 We had 3 or 4 pickups without a hookup, then we did get some good hookups and landed, revived and released 2 large Bull Redfish approx 41 inches. 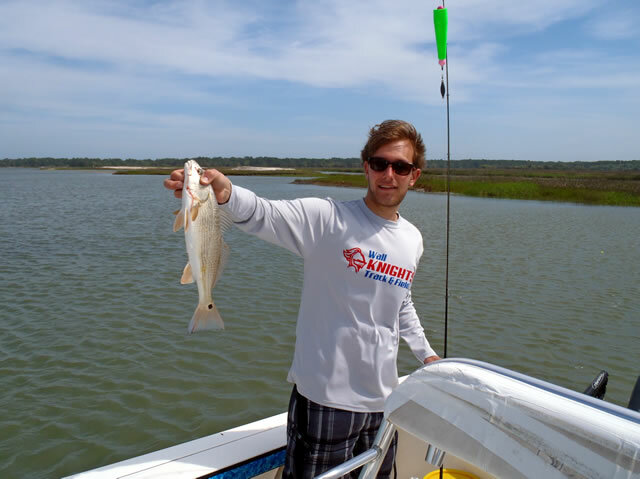 Coming in we stopped and fished on popping corks and landed a nice 26 inch redfish in 2 feet of water. 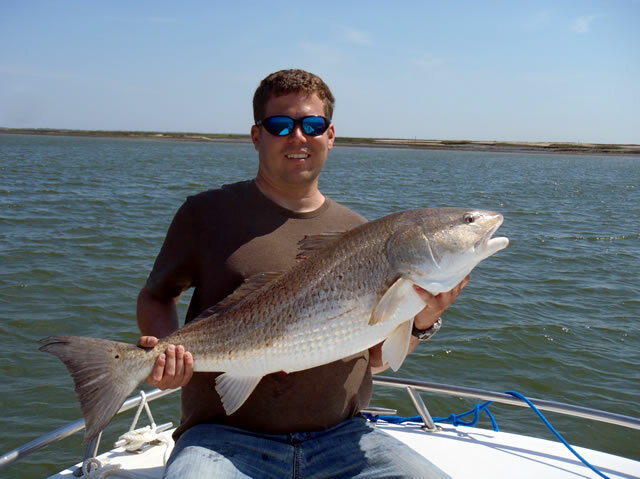 Very nice fish on light tackle! These guys were Rober, Vince, Ryan and Mike. Capt. Jeremy had a 5 hour charter today that departed Bahia Bleu at 7am. Water temp was in the low 70's and the clarity was not good. Wind was out of the southwest at 15 - 20 knots. 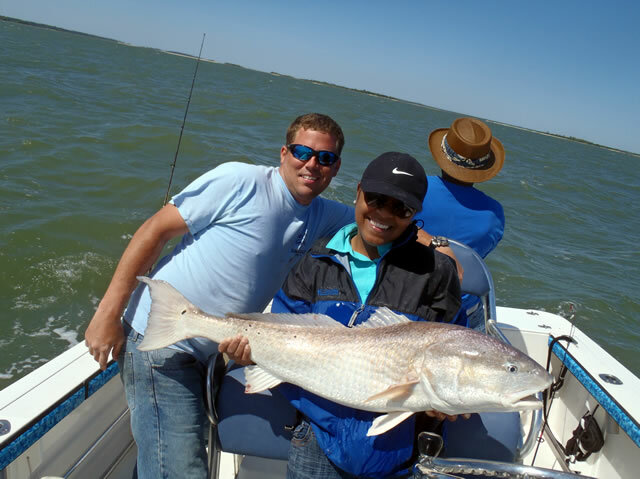 This was a 3 person charter and they wanted to target whiting. Capt. 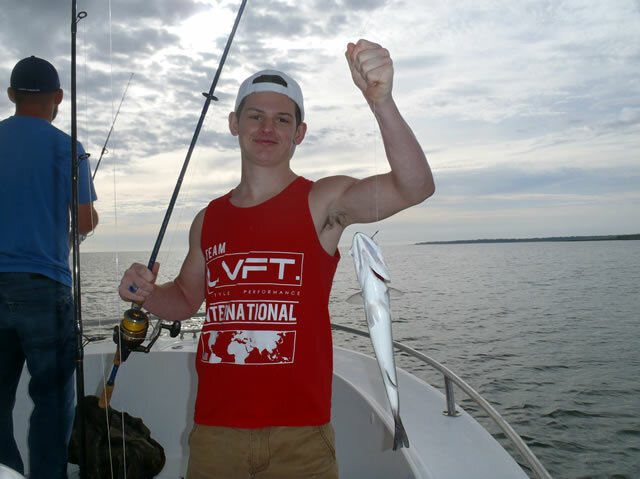 Jeremy had planned on trout but they went for whiting and caught about 40. 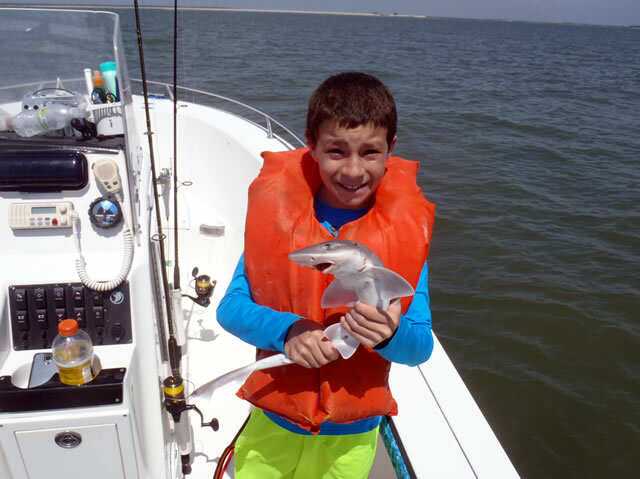 They also caught some blue fish and sharks. 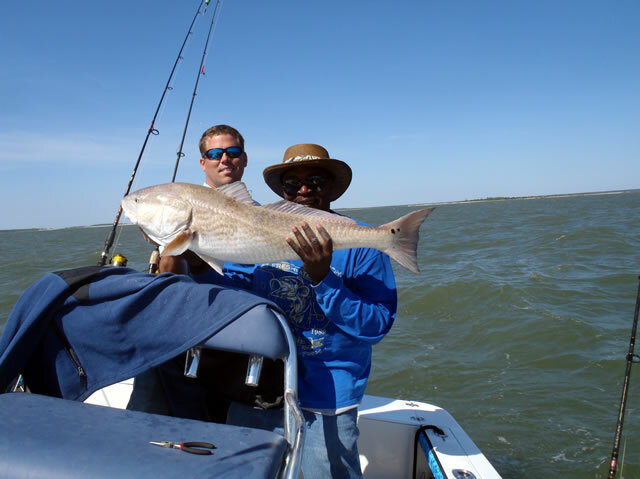 He did not take a picture of the whiting, however the last 2 hours they caught Bull Reds. Capt. Jeremy reported that they landed, revived and released 6 and missed 1 and 1 broke off at the boat. All in all a great day and they are planning on a return trip! Capt. Jeremy had back to back 4 hour trips for Bull River today. 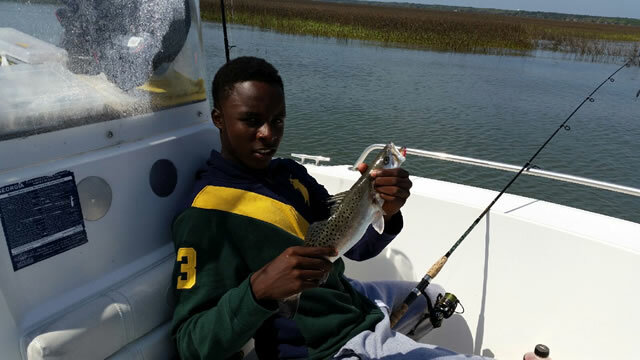 His first trip was with 4 people and they concentrated on speckled seatrout. They keep 10 trout. 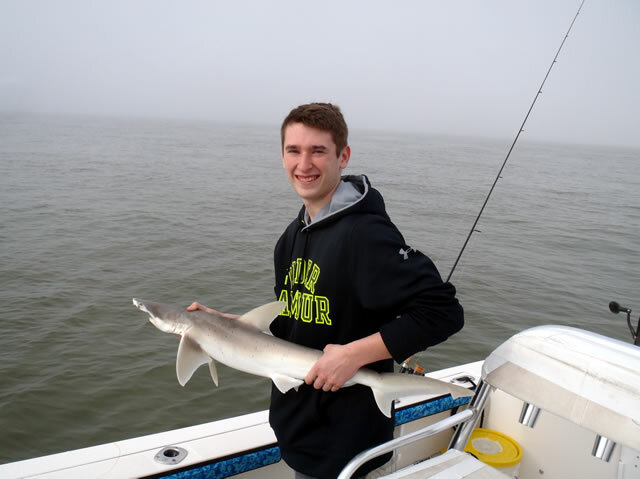 They also caught some whiting, sharks and bluefish. 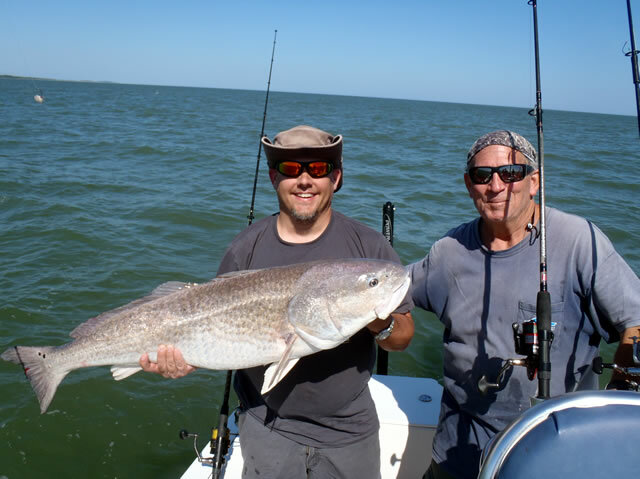 The second trip was all bull reds! The water temp was 71 degrees and clear. A great day was had by all. Capt. Jeremy had a 6 hour 3 person trip today with Zach and friends. 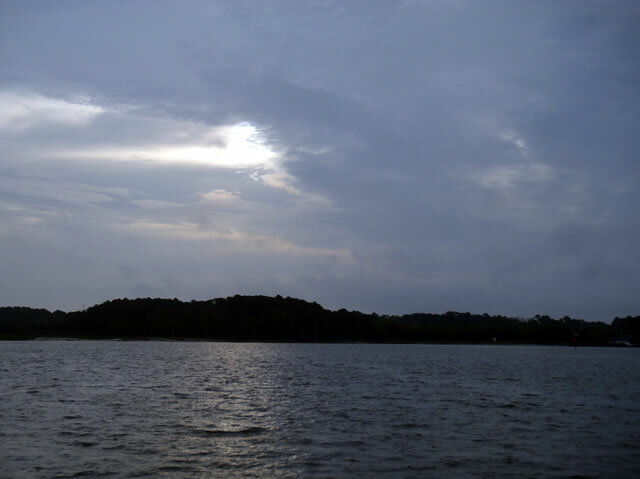 They departed Bahia Bleu at 7am. 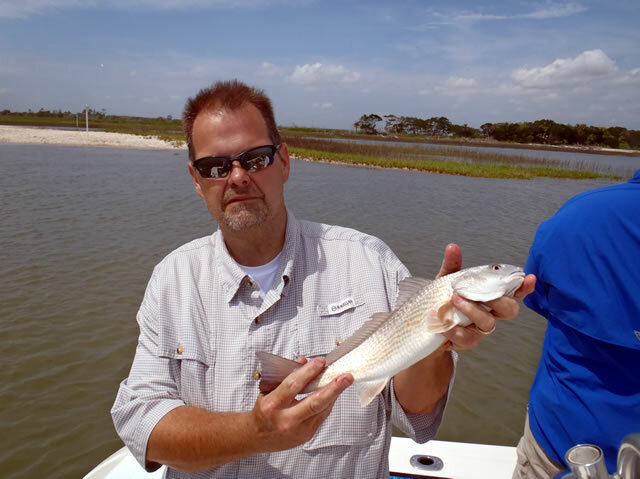 Kept a few keeper trout, some whiting and keeper redfish. Also Capt. 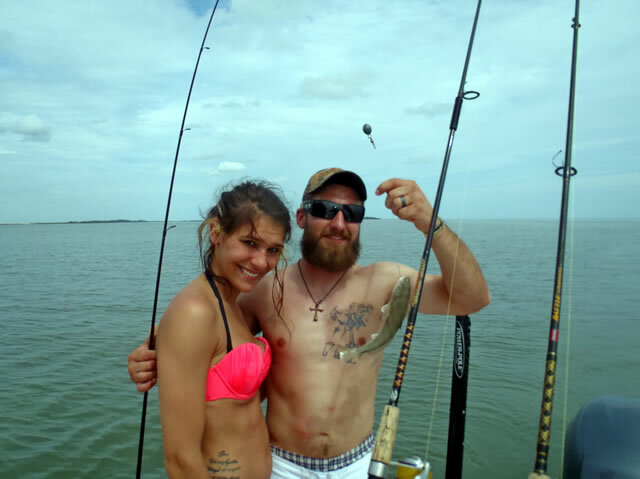 Jeremy said they had 2 big hits on the Bull Red rods, and hooked, landed, revived and released one and missed one on the strike. 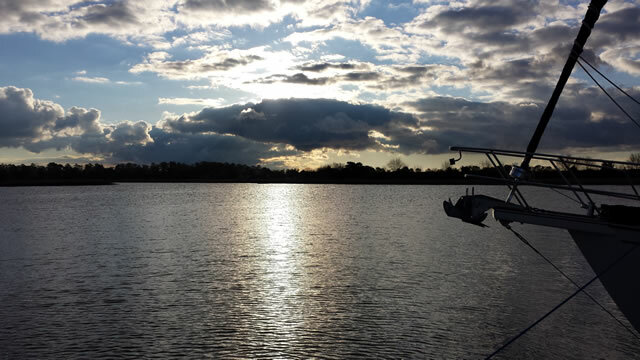 All in all a great day on the water as the yearly worm hatch was still going on. It usually lasts 2 days, but this year it went on for 3 days. 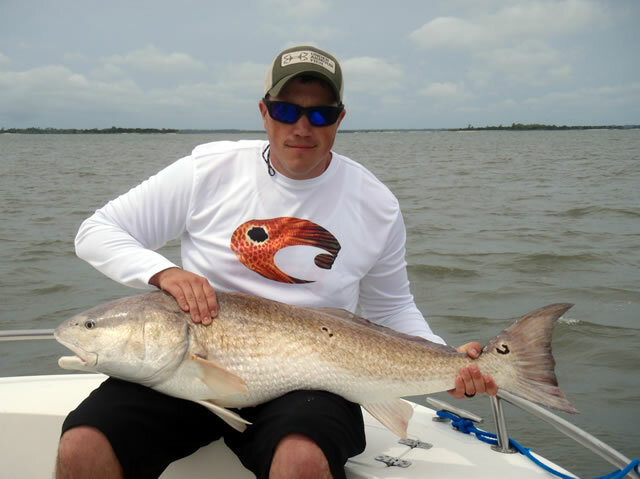 Below notice the difference in size between the 42 inch bull red and the slot red below him. Capt. 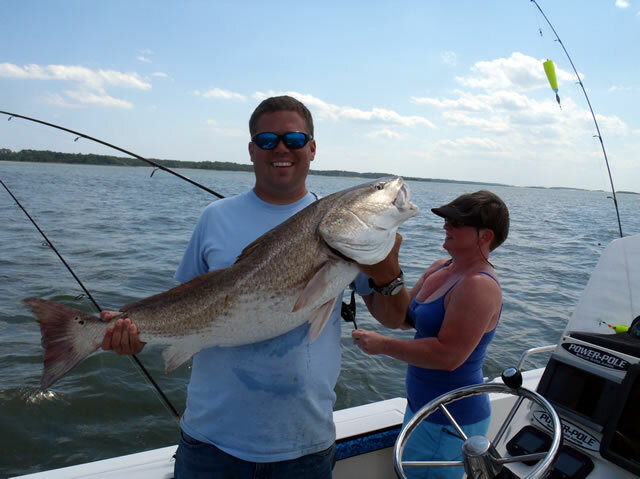 Jeremy had a 4 hour 2 person trip today with Bull River Marina. 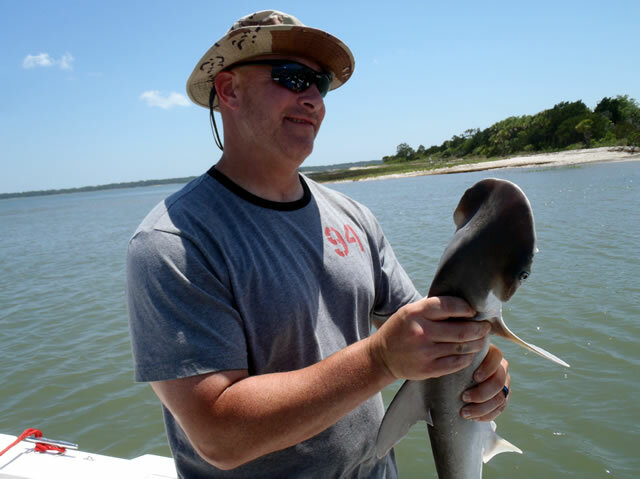 The target was some sharks and Capt. Jeremy put them on some. 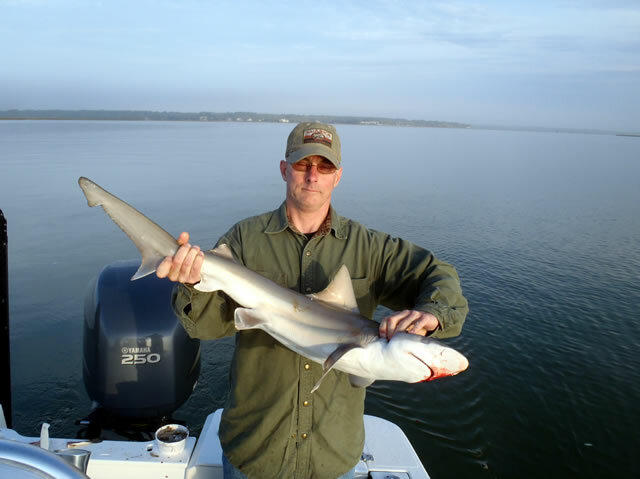 Below is a picture of one of the sharks caught and released as well as some wildlife . Air temp was down to the 60's today. Capt. 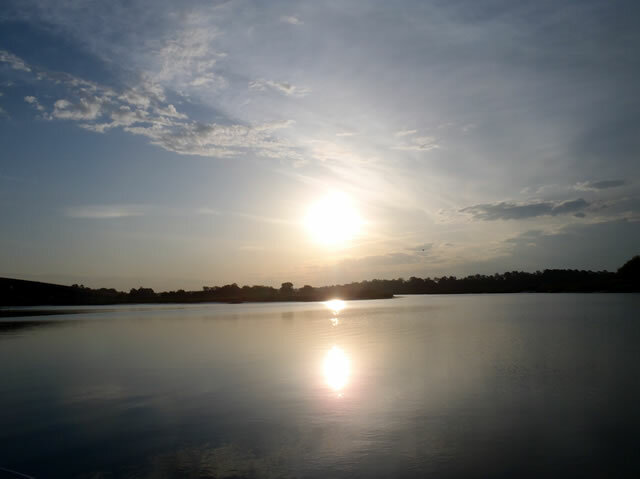 Jeremy had a 2 person 6 hour trip on Sunday 4.12.2015. 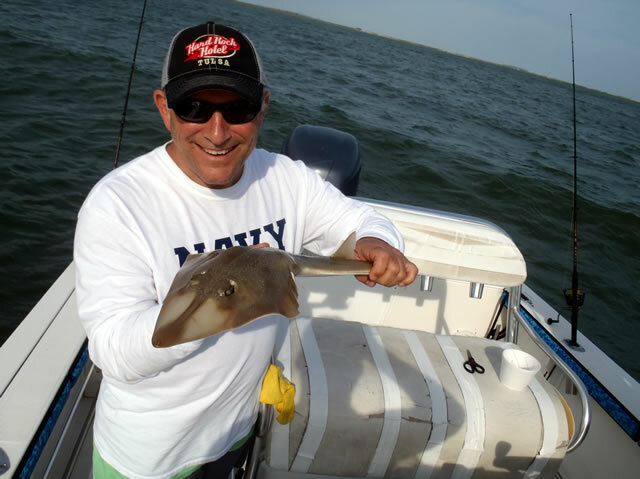 The catching had slowed somewhat, but they did catch some whiting, and some sharks as well as some bluefish. Everything was released. Capt. 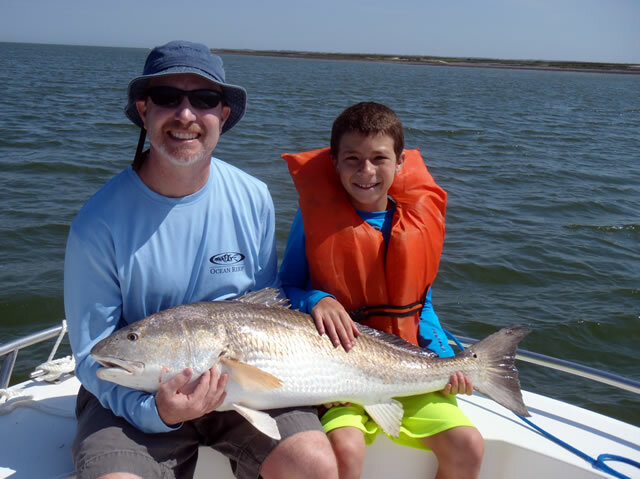 Rick had 2 trips today, the first one was a 2 person 5 hour trip with Ryan and his son Ryan. They missed a few fish at first, but soon got the hang of it. 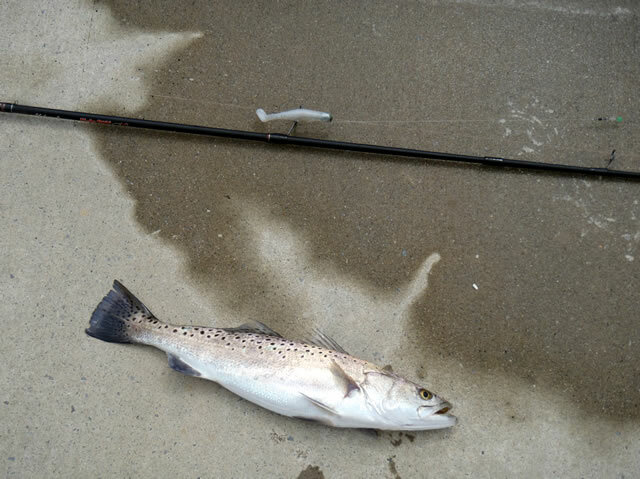 They caught several speckled seatrout, with a few short ones. 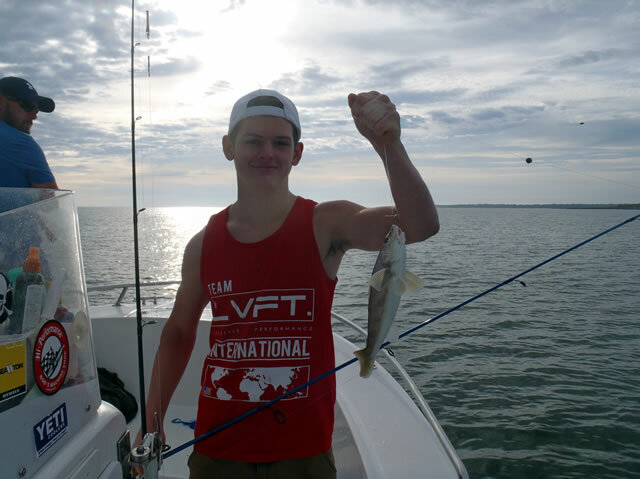 Also caught some whiting and some large blue fish. 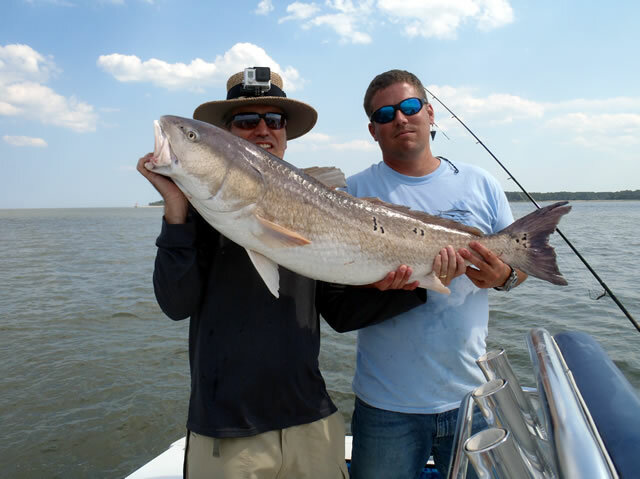 This was the first time they had fished saltwater inshore and they did quite well. That was followed by a 2nd trip with 4 people for 6 hours that departed at 1 pm and we got in at 7pm. I had Chad and his neice Sierra and two of her friends. 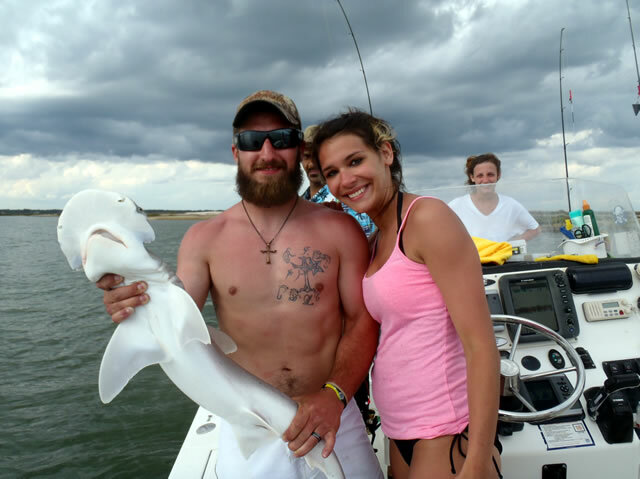 Chad was taking them fishing for her 21st birthday. I had a blast with them and they did. 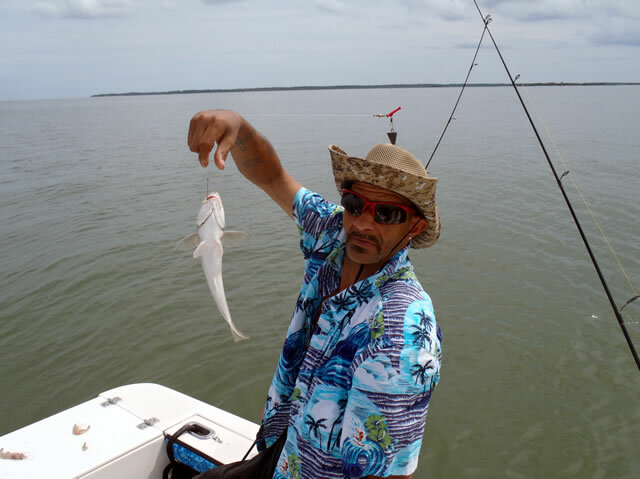 The bite was slower than the morning, but they caugh quite a few whiting and Chad caught 2 bonnet head sharks each over 30 inches. 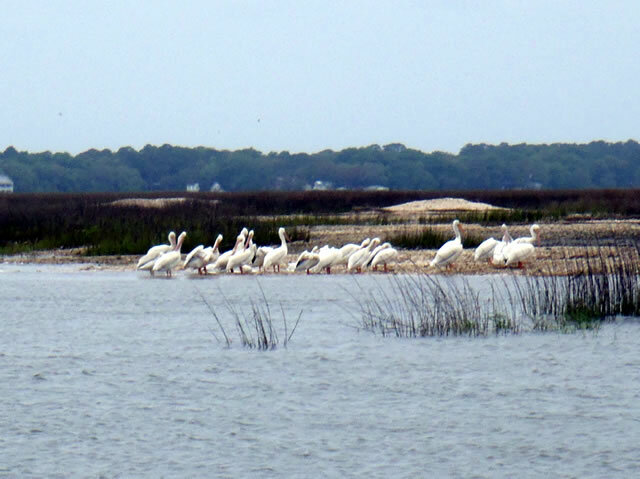 They practiced catch and release today, but said they would be back later in the year. All in all a full day of fishing. Capt. 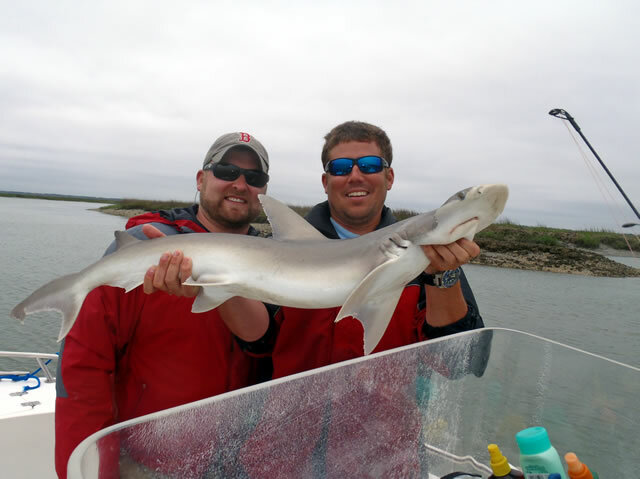 Jeremy had 2 trips today, the first one was a 4 person 5 hour trip with David and his group. 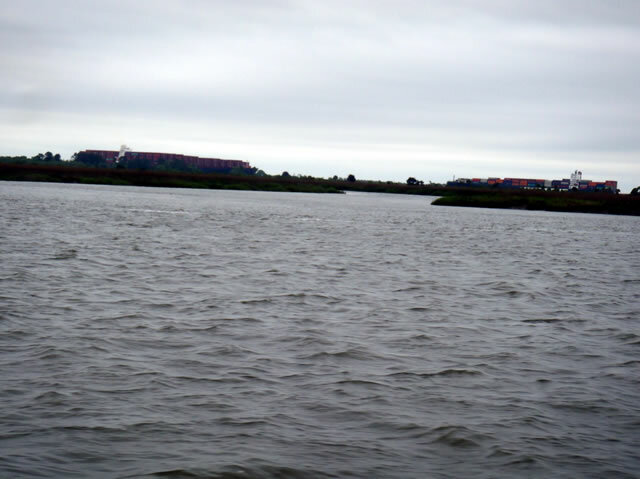 They departed the marina at 7am and fished until 12, then he had a 4 hour trip for bull river. Both trips he caught a variety of fish. 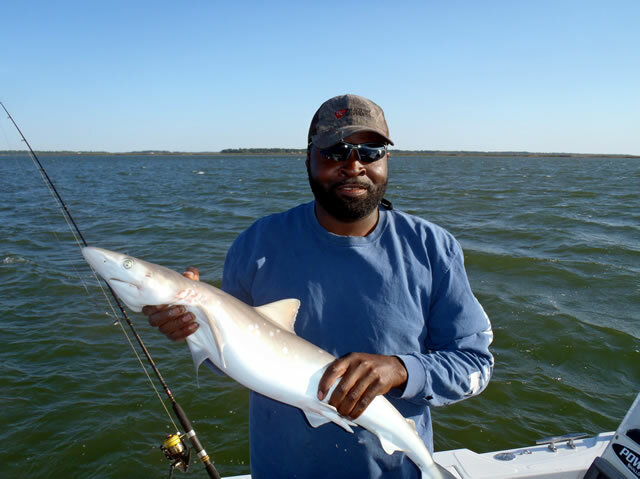 Some included whiting, trout, redfish, sharks and a guitar fish. water temp was in the low 79's. Capt. 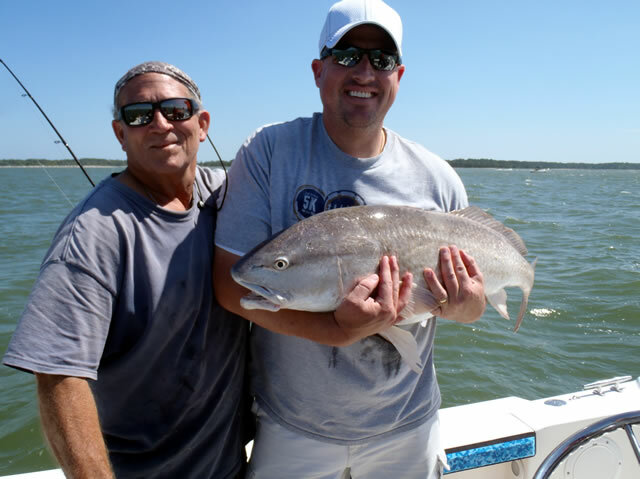 Jeremy had 2 trips today, the first one was a 2 person 5 hour trip with Dennis and his son. 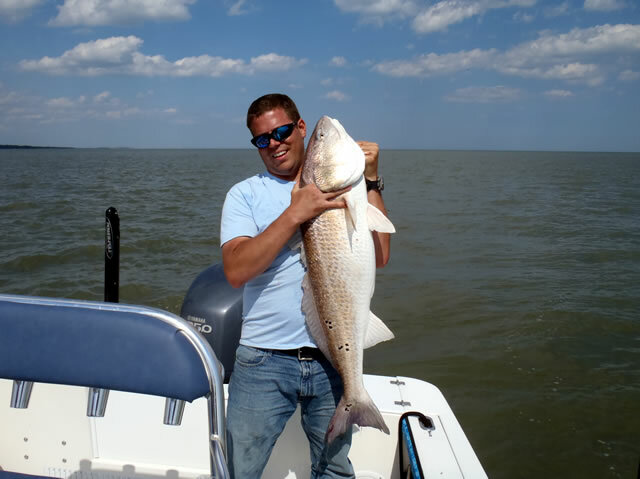 This trip was from 7 am until 12 pm, then he had a 2nd one from 1 to 5 pm with 5 people for bottom fishing. Capt. 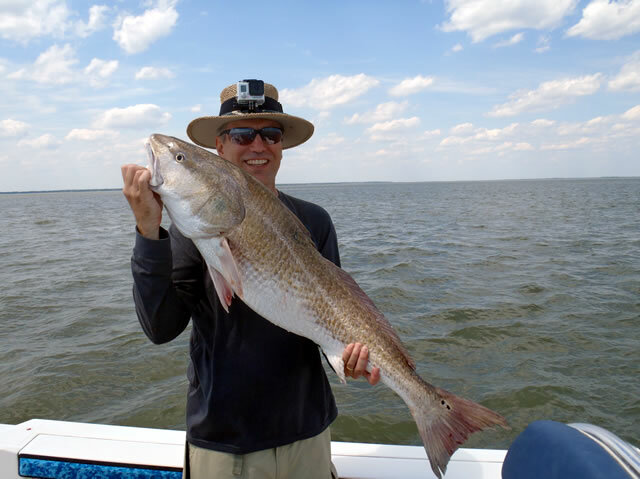 Jeremy left the digital camera at home, but did snap a couple of pictures with his phone of his first trip with Dennis. Capt. 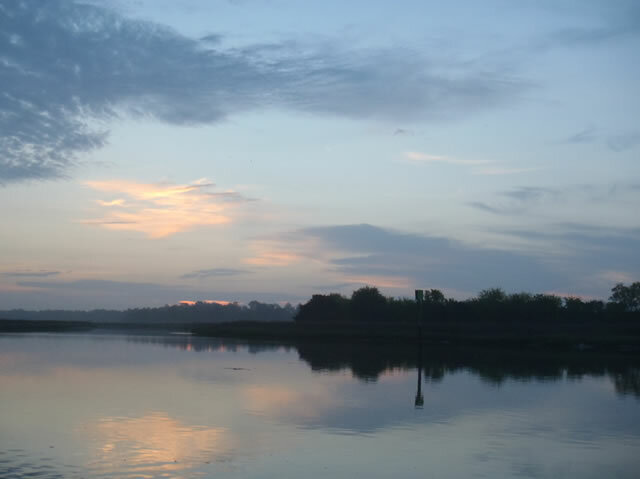 Jeremy reported the water temp at 67.5 at 7am. 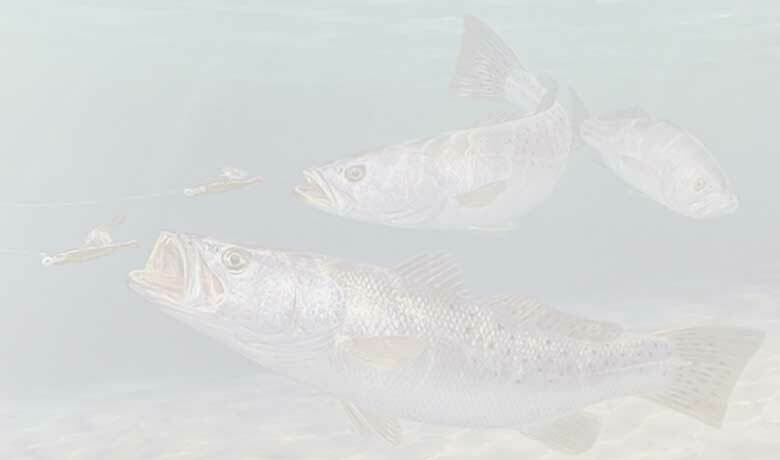 They targeted speckled seatrout and whiting and bull reds. Capt. 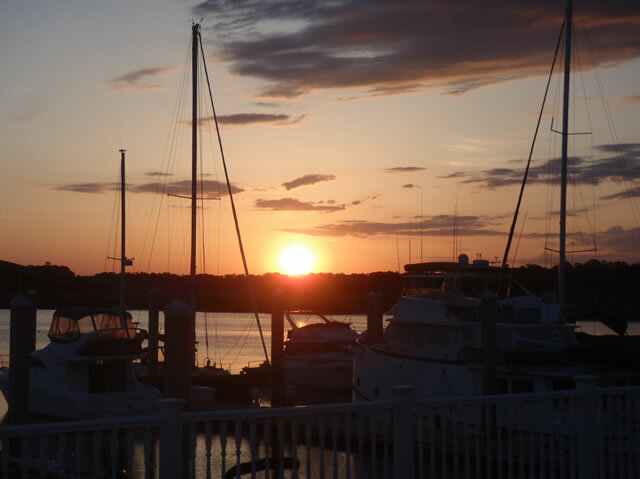 Jeremy sent me 2 pictures of the sunrise and Dennis's son holding a respectable Speck. 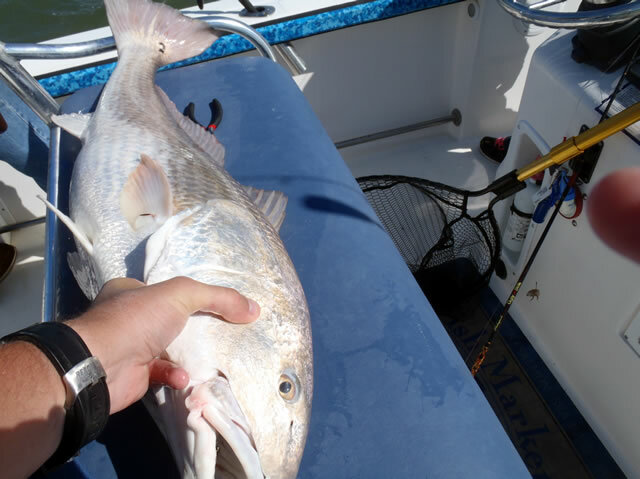 He also reported that they caught some whiting as well, but not a bull redfish. I haven't had a chance to ask Capt. Jeremy about the 2nd trip he had today. Capt. Jeremy had a 4 person 5 hour trip today that departed the marina at 7am. 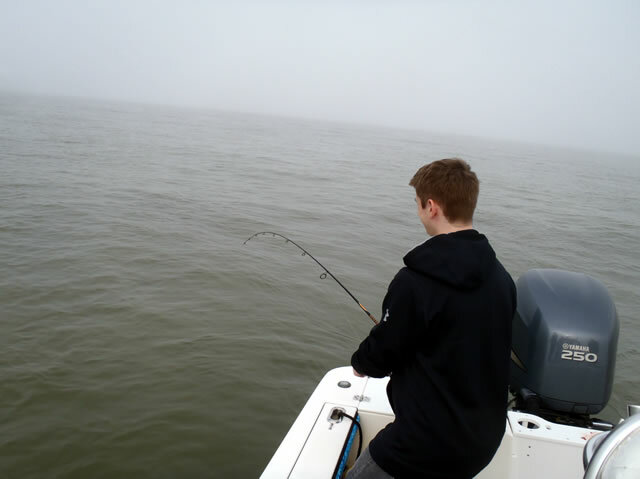 The main thrust was to catch some large fish to give the teenagers a good tug on the line. 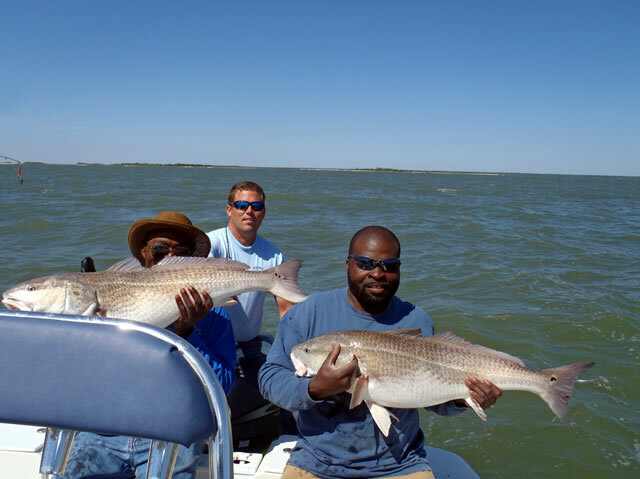 They started by catching some whiting, then trying for some bull redfish. Capt. 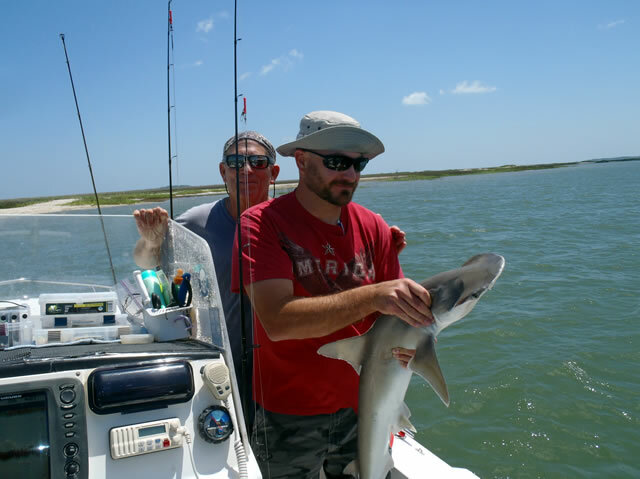 Jeremy reported that they did not get a bull redfish today, but did catch an assortment of nice size sharks including a 3 foot blacktip, bonnethead, atlantic sharpnose as well as a dogfish. 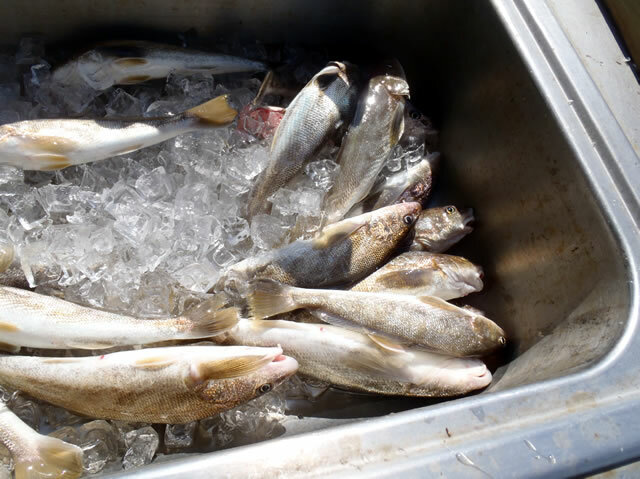 They also caught whiting as well. 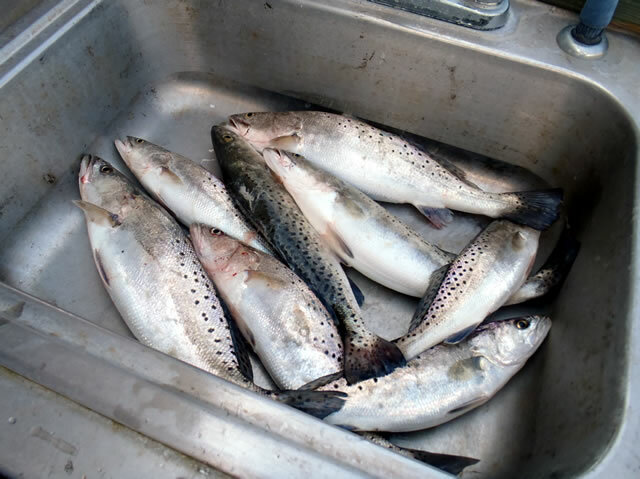 Even though they didn't target speckled seatrout, another person at the dock had caught a few of those as well, so all in all a good day on the water! Also if you notice in some of the pictures the sea fog moved in and for awhile was quite thick. Capt. 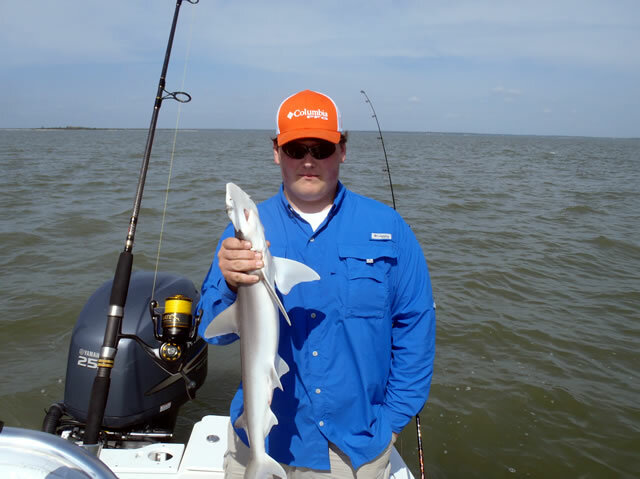 Jeremy got a last minute trip today for Bull River Marina. He departed on a 4 hour 2 person trip at 12 pm. 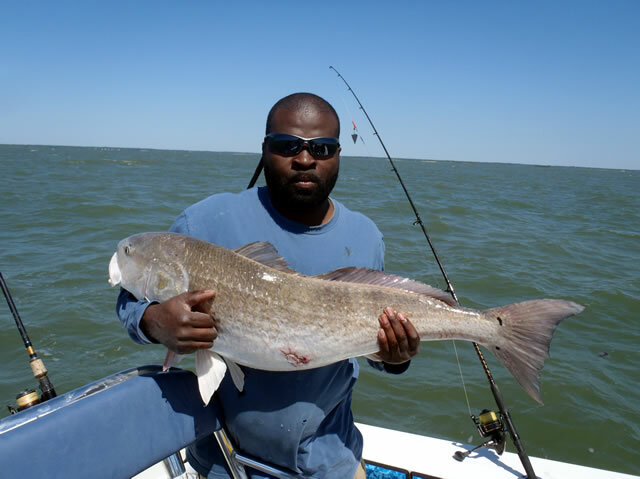 They targeted deepwater whiting and as always put a bait out for a bull redfish. 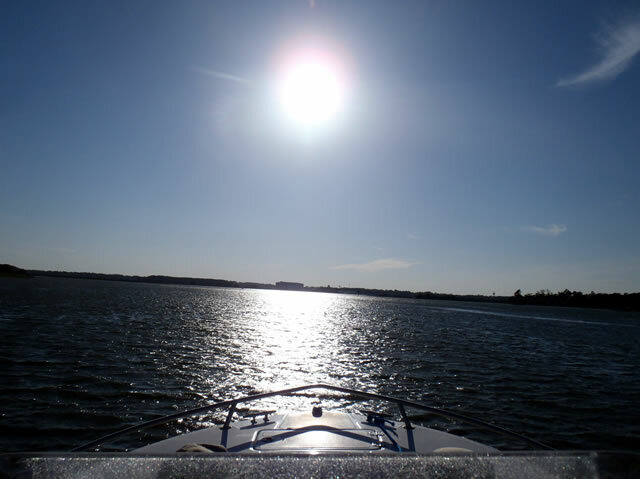 Water temp was 65° and the wind was out of the south southwest. 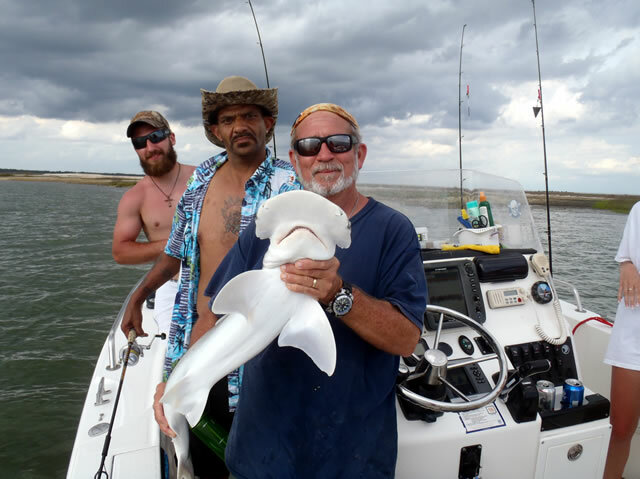 They caught approximatly 30 whiting , small sharks and during the 4 hours, Capt. 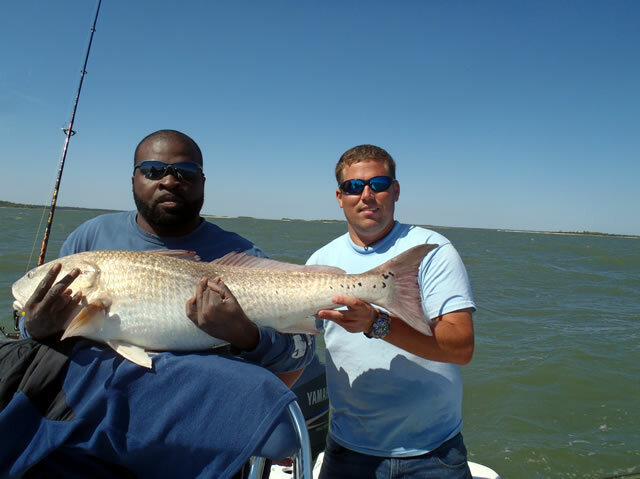 Jeremy reported the big rod went off a couple times and they managed to hook , land , revive and release a 40 inch bull red. This fish was deep when hooked, about 35 feet to be exact. 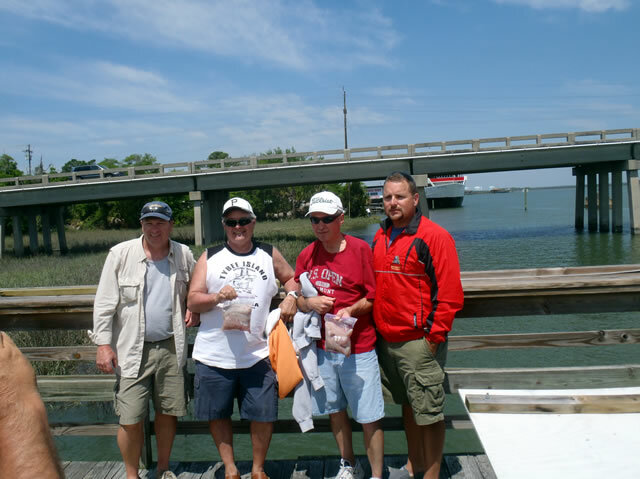 A great day on the water for this happy group.